This Sunday we’re taking the time to celebrate fathers, sons, husbands, grandfathers, uncles, brothers, cousins and the special men in our lives. As a celebration of Father’s Day, we asked several #BevelDads to share their stories, words and reflections on fatherhood. We encourage you to also share your own stories on social media by posting a picture of you with the hashtag #BevelDads. 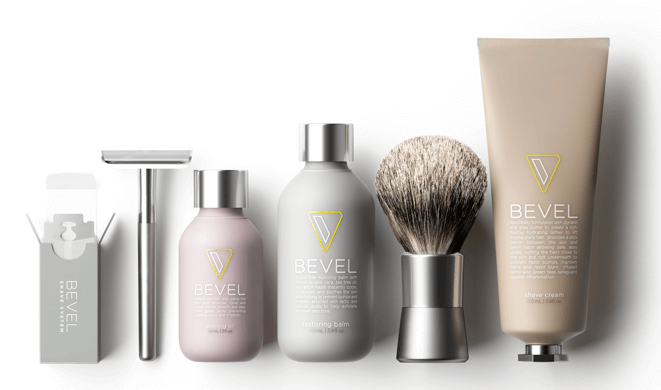 Bevel Code: What does being a father mean to you? It means joy. Twice the joy. Responsibility. Care. Patience. It means love. BC: What hopes and dreams do you have for your children? I have two. First, I want my son to grow up in a world where he’s not treated like a second class consumer. Secondly, I want him to live in a world where he can, without bias, produce at the highest level. BC: What grooming lessons did you learn from your father? BC: Can you pinpoint a moment when you knew you were a man? To love is to release one’s ego. To practice true selflessness. In my opinion, that’s when boys become men. On July 21, 2007, it really hit home for me. I married the perfect woman on that day and my releasing of ego was the best sacrifice. BC: What’s your Instagram and Twitter handle? @tristanwalker for both Instagram and Twitter. Being a father, to me, is to give your children the lessons needed to be successful in life. I do not mean making lots of money (even though it will help), but to make a life with meaning and purpose. My job is to give them the tools, the skills and the financing to make their dreams come true. I want my children to experience the world, to see different countries and societies. I want them to find a job/profession that they want to do and excel at it. I want them to know that no matter how hard it is, it can will always get better. I really want them to happy with the lives they choose and have tons of friends and family who love and support them. Yes I can, it was August 3, 2011, it was the day after my birthday and I had just turned 25. I was working at Best Buy, living at my sister’s in Jersey and my daughter was born a couple of months before. I now, for a few months was the father of two. What was I going to do? I decided that morning in the bathroom mirror that I was a man and I needed to be one. So, I left for Brooklyn and 4 years later, I now work as a SEO Specialist and e-commerce manager, I am married to a beautiful Australian woman and my kids have everything they want and need. I hope that they grow up willing to work hard to accomplish all of their own dreams. Keeping a clean shaved head. And not to be afraid to try new styles for my beard. It will grow back. The yard marker is constantly changing. I thought having a kid would suddenly propel me into full on manhood but I realized I still have a lot to learn. @wordbk for both Instagram and Twitter. A responsibility to be as good of a father as my dad is to me, so that my boys can be excellent fathers some day. Grow up knowing how to be respectful to others and take every opportunity they can to learn as much as they can. I use to watch my Dad shave when I was a kid. He always used a brush, mug and a bar of Colgate shave soap. 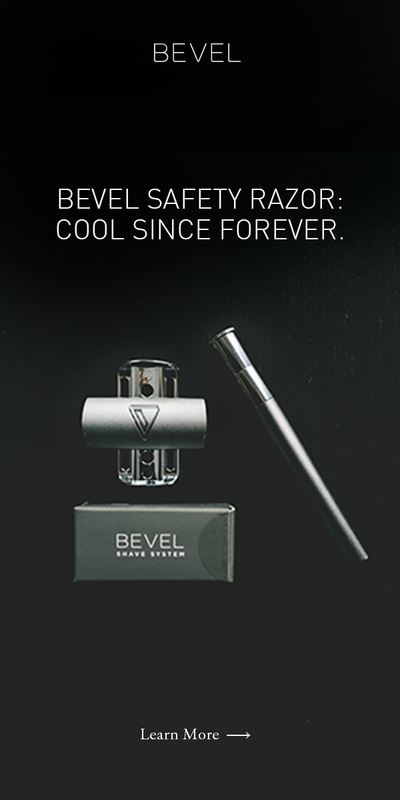 When I first started shaving I started with the same setup and used it that way for years. @tjhanley for both Instagram and Twitter. To me, being a father is all about leadership and sacrificial love. Loving your wife and children in all things, leading and teaching by example and laying out a bold vision and values for your family. I see my children loving God, loving people, and loving themselves. I hope to cultivate a love for learning in my children that will encourage them to follow their curiosity and passions and be authentically true to themselves. I see them being trailblazers, breaking the mold and creating new things. I will expect my children to be excellent in everything they do – to have dignity, strong morals and courage. My father would cut my hair as a child and eventually he taught me how to cut my own hair as a way to be self-sufficient. I haven’t been to a barber shop since the 8th grade and in college I was “that guy” everyone was looking for to get a clean cut. It’s a skill that has served me well and I hope to pass down to my sons one day. I knew I was a man when I asked my wife Camille Dargan (@camilledargan) to marry me at the age of 22! I saw she was the one for me after dating for about a year and never looked back. @doriandargan for both Instagram and Twitter. First and foremost, it’s a blessing. Day to day? It’s a challenge. I have fathers I look up to and I have a lot of work to do before I become the father I want to be. You see, I grew up around the Masterclass of Men. My 2 grandfathers each raised 6 children. And coincidentally, of their 6 children, 5 were women. That means I had 10 women all shaping me to be the man I am today. But that also meant I got to witness my grandfathers orchestrate the dance of playing father, husband, rolemodel and man. I saw my mom and aunts, all grown women born of steel, strength and wisdom, look to my grandfathers for support when life was amazing, but also when life was tough. I eventually saw some of my aunts have children of their own, and when they met the challenges of being parents themselves, they called in the Masterclass for help. But it wasn’t until I was a teenager that I realized that in a father’s orchestra, there’s another instrument that is overlooked – Protector. Till this day, I feel safe when I’m in the presence of my father and I think it’s because no matter what has happened in life, he’s set things straight. When he’s around, I feel completely protected. I’m a grown man but in truth, the best sleep I get is when I’m back home, sleeping while my father is upstairs keeping an eye on things. These days, I’m much quicker than him. In fact, I’m probably stronger. But I know when it comes down to it…in times of family need…he can turn up these attributes ten fold. He’s my real life superman. Well, I have one child and her name is Madison. My hope is that she grows up in a world that empowers her to be the very best she can. I hope she never loses her amazingly sweet smile and giggle. I hope she gives back to the world and does so with every ounce of her being. And my only dream is that she gets to follow hers. Haha. Some very important things that are actually embarrassing to talk about. He taught me a few things using his words. Paraphrasing a bit but he said something like, “Think twice about what you shave. When the hair grows back, it’ll be thicker and sometimes itchy.” Oh, and also, “Appreciate the hair you have today because you may not have it tomorrow.” I’m older now and I’m starting to understand what that means. I don’t quite have the same head of hair, but that doesn’t mean I can’t keep things clean. But I also learned some things just by watching him. I would see him trim his nose hairs with sheers. A little thing like that taught me how to keep that area clean. I also learned how to apply shaving cream and how to shave with a Bic. And it didn’t dawn on me until now, but I also witnessed him nick himself a few times when he was in a rush. This taught me the importance of proper strokes and patience when shaving. And most recently, this might sound silly, but there are situations where Madison gets scared when the lights shut off. You see it in her face. She’s 2 years old and frightened, and she’s running directly to me shouting for, “Daddy.” This means everything to me. @rmacasieb for Instagram and @Romy on Twitter. As a parent you’re responsible for someone’s life. I feel like fathers give their children (especially boys) knowledge strength and courage. My son loves to impress me. He loves to show off his accomplishments when I get home. He’ll ask his mom questions that he wouldn’t ask me and vice versa. It’s important for a child to have that option at home. I hope that he follows me and realizes that he can be ANYTHING that he wants to be in life. I hope he remains a leader and never follows. I grew up with a single mom. My pops has been in jail pretty much my whole life. I never met him. My mother taught me about presentation. She made me aware of how much young black men were judged on appearance. Everything else I learned from my older male cousins and guys around the neighborhood. When I realized I had to grind and take care of my family before my son was born. I had two important people counting on me and letting them down wasn’t an option. @LanceFresh for both Instagram and Twitter.